The BringBackOurGirls coalition said it would resume street marches in October if the Federal Government failed to take immediate steps to rescue the remaining 113 Chibok girls in Boko Haram captivity. It also asked the government to send “a strong and high-powered Federal Government team to Chibok to reassure their parents,” noting that the lack of empathy for the Chibok parents has to end. 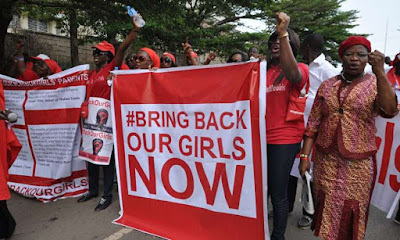 The group, in a statement by Co-coordinators, Florence Ozor and Oby Ezekwesili, on Thursday in Abuja equally demanded accurate details on the missing police women and the Nigerian National Petroleum Corporation oil exploration team abducted by Boko Haram. » How To Watch Live Matches On Android With Less Data Charges.